The redesigned Hyundai Sonata is unveiled in Seoul. SEOUL -- Hyundai Motor Co. is counting on the redesigned Sonata to reverse a fall in sales of a model struggling to stand out in a shrinking sedan segment. The new Sonata will take on Toyota Motor Corp's remodeled Camry in Canada and the United States, where cars have been losing favor to SUVs and crossovers amid relatively low fuel prices. Canadian sales of the Sonata have fallen for five consecutive years, down to 10,191 in 2016 from a peak of 16,343 in 2011. The stylish design and affordable price of the previous-generation Sonata, launched in 2009, propelled Hyundai Motor to its biggest-ever share of the U.S. market. The change also helped sales in Canada at the time. Hyundai more than doubled its sales of the Sonata in 2010 to 13,856, up from the 8,975 sold the year before. The 2009 design helped Hyundai escape an industry-wide downturn largely unscathed. With the latest version, Hyundai Motor has changed the sheet metal in an unusual move for a midcycle refresh. It has also given it a more sporty look with a curvy hood and a bigger grille. Lee said Hyundai's next-generation Sonata will take design cues from this redesigned version. Hyundai is working on next-generation cars with "a different flair" for marketing from 2019, Luc Donckerwolke, senior vice president for design, previously told Reuters. 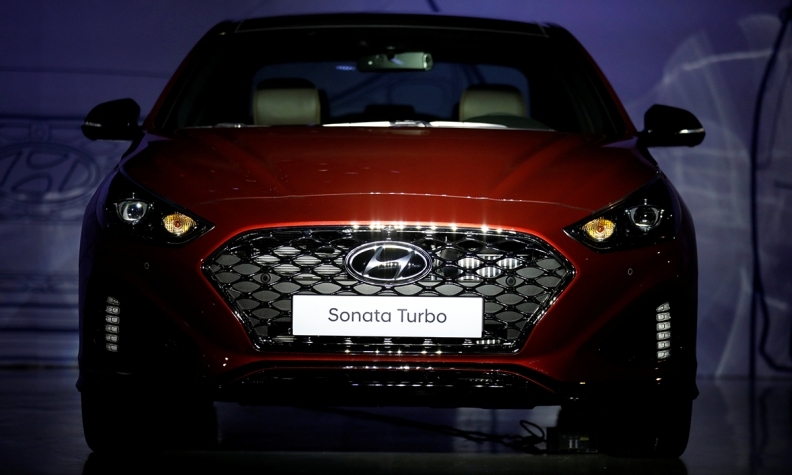 The 2018 Sonata will arrive in Canada later in 2017, likely in late summer, a spokesman for Hyundai Canada said. No pricing or additional details are available, he said.